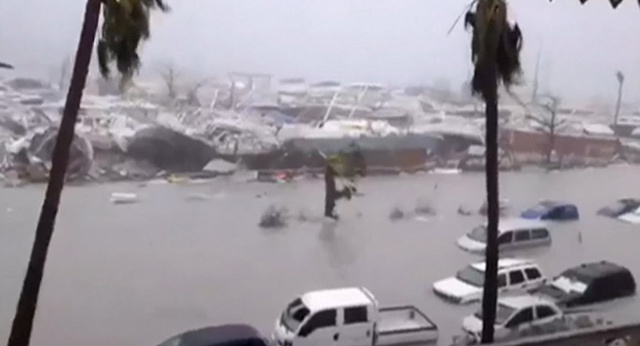 Powerful Hurricane Irma cut a swathe of deadly destruction as it roared through the Caribbean on Wednesday, claiming at least nine lives and turning the tropical islands of Barbuda and St Martin into mountains of rubble. 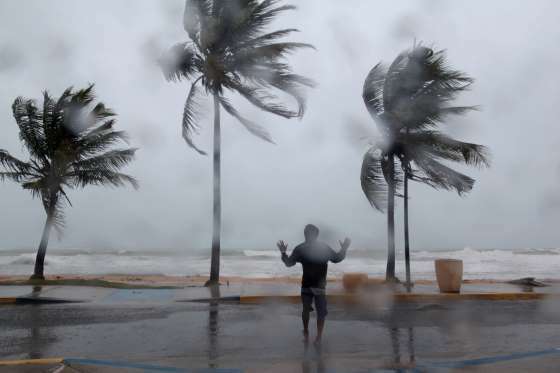 One of the most powerful Atlantic storms on record, the rare Category Five hurricane churned westward off the northern coast of Puerto Rico early Thursday on a potential collision course with south Florida where at-risk areas were evacuated. 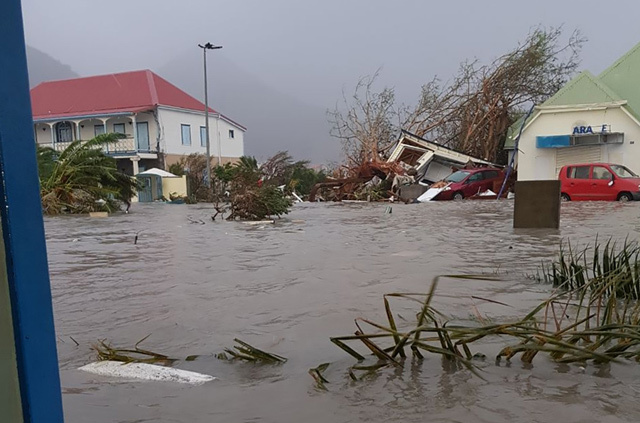 St Martin - a pristine resort known for its vibrant nightlife - suffered the full fury of the storm, with rescuers on the French side of the island saying at least eight people had died there and another 21 were injured. With some 95 percent of homes destroyed on the French side of the island - the other half belongs to The Netherlands - a delegation of troops, rescuers and medics arrived from France headed by Overseas Territories Minister Annick Girardin to help with rescue efforts. "It's an enormous catastrophe. Ninety-five percent of the island is destroyed," top local official Daniel Gibbs said in a radio interview. "I'm in shock. It's frightening." 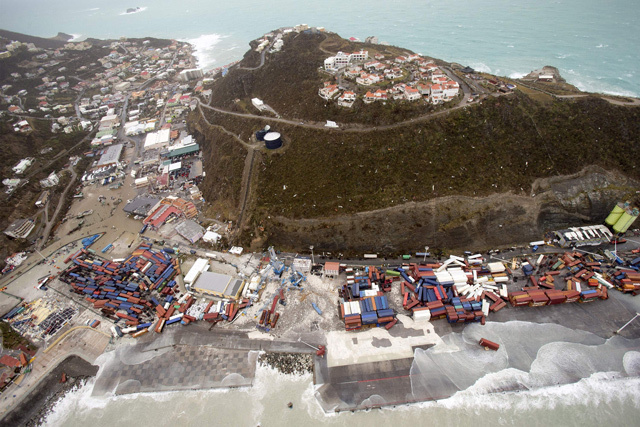 Guadeloupe prefect Eric Maire called the situation in St Martin "dramatic," saying the island - which is divided between the Netherlands and France - was without drinking water or electricity, and warning the death toll was almost certain to rise. 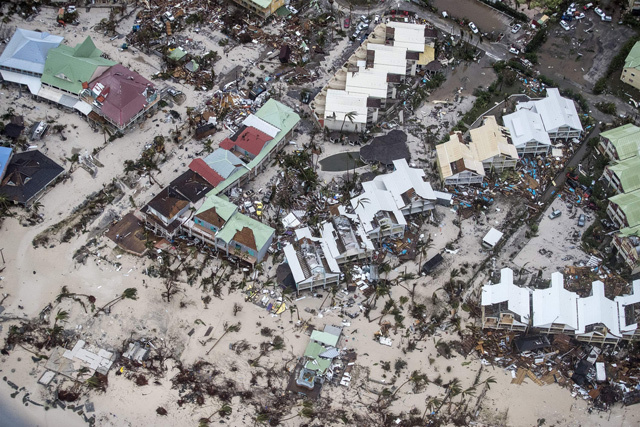 To the southeast, Barbuda, part of the twin island nation of Antigua and Barbuda, suffered "absolute devastation" with 95 percent of properties damaged, and up to 30 percent demolished, according to Prime Minister Gaston Browne. "Barbuda now is literally rubble," Browne said. And on the island of Barbados, a 16-year-old professional surfer named Zander Venezia died while trying to ride a monster wave generated by the storm, the World Surf League said. Irma was packing maximum sustained winds of up to 185 miles (295 kilometers) per hour as it followed a projected path that would see it hit the northern edges of the Dominican Republic and Haiti on Thursday, continuing past eastern Cuba before veering north towards Florida. As of 0300 GMT, the eye of the storm was just north of Puerto Rico and the hurricane was moving west-northwest at 16 miles (26 kilometers) per hour. 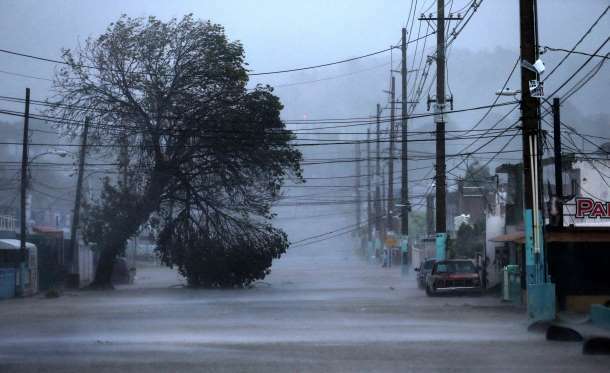 More than half of Puerto Rico's population of three million is without power, with rivers breaking their banks in the center and north of the island where Governor Ricardo Rossello activated the National Guard and opened storm shelters sufficient for up to 62,000 people. Blanca Santiago, who works at a beachside hotel in Puerto Rico's capital San Juan, described the howl of the wind whipping the coastline: "It was as if there were ghosts inside my home." 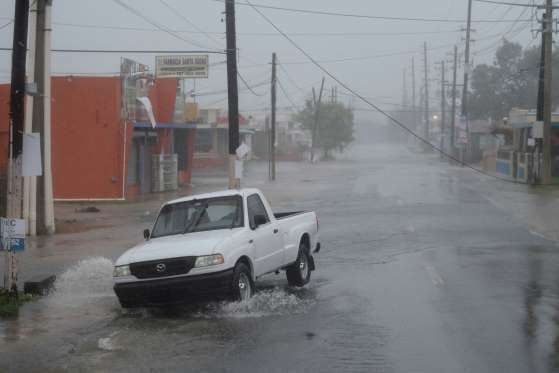 A total of 460 shelters have been set up around the island, the governor said. "We already have rather major damage," Rossello said. US President Donald Trump declared a state of emergency in Puerto Rico as well as in the US Virgin Islands and Florida where he said the outlook was "not good." 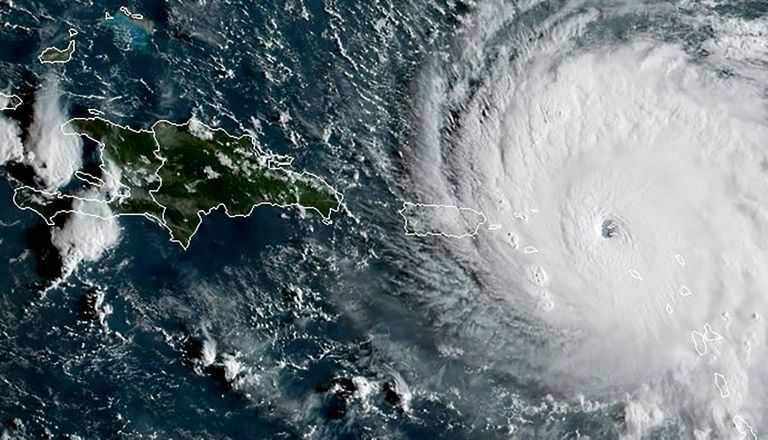 In the Dominican Republic, which forms the eastern half of the island of Hispaniola which it shares with Haiti, the government began to evacuate people from areas declared to be under hurricane alert. The capital Santo Domingo was calm after a chaotic Tuesday which saw people rushing to supermarkets to stock up on food. The government gave people a day off work on Thursday and canceled classes for the rest of the week. Category Five is the highest on the scale for hurricanes in the Atlantic and hurricanes of this intensity are rare. They can cause severe flooding, tear off roofing, shatter windows and uproot palm trees, turning them into deadly projectiles. Irma follows hot on the heels of Hurricane Harvey which devastated swaths of Texas and Louisiana in late August. Irma was hitting the Caribbean even as two other tropical storms, Jose in the Atlantic Ocean and Katia in the Gulf of Mexico, were upgraded to hurricane status. 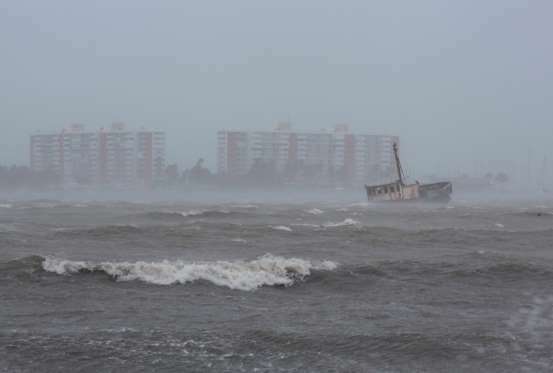 With forecasters warning of catastrophe, including surges of up to 25 feet (almost eight meters) above normal tide levels, people evacuated tourist areas, stocked up on provisions, and packed into shelters across an area stretching as far north as Florida. 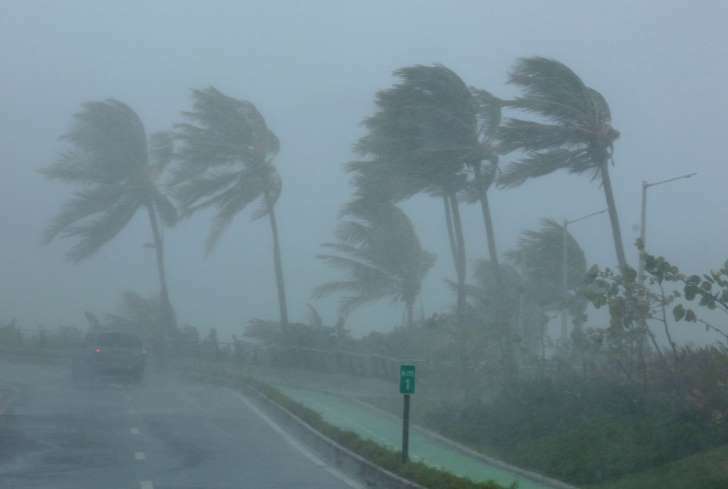 The Sunshine State is expecting to face the brunt of the storm from Friday night. Florida Governor Rick Scott said Irma - which comes barely a week after Harvey claimed some 60 lives - posed a severe threat to the entire state. Panicked residents stripped shelves bare in Miami as they rushed to stockpile everything from bottled water to sandbags before Irma strikes. Gas stations between the Florida Keys and Miami ran out of gas, while nearly all local supermarkets had sold out of bottled water, with fights breaking out among shoppers in some stores. "People go crazy and buy up everything," 81-year-old Gladys Bosque told AFP in a crowded supermarket in Miami Beach. The governor has activated 1,000 members of the National Guard and another 6,000 reserve troops will be reporting for duty no later than Friday morning. A US aircraft carrier with a field hospital and dozens of aircraft able to conduct rescue or supply missions have been put on standby. Hurricane Irma sowed a trail of deadly devastation through the Caribbean on Wednesday, reducing to rubble the tropical islands of Barbuda and St Martin and claiming at least seven lives. 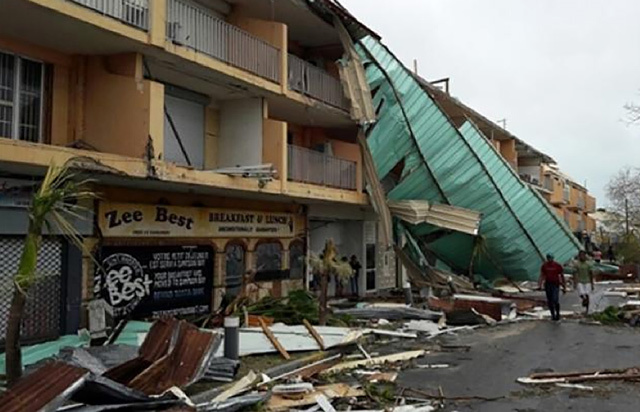 The French part of St Martin - a pristine resort known for its vibrant nightlife - suffered the storm's full fury: at least six people died and 95 percent of dwellings were decimated, officials said. "It's an enormous catastrophe. Ninety-five percent of the island is destroyed," top local official Daniel Gibbs said in a radio interview. "I'm in shock. It's frightening." French President Emmanuel Macron earlier warned the final toll would be "harsh and cruel." "Barbuda now is literally rubble," Browne said. One person is known to have died on the island of 1,600 residents, apparently a child whose family was trying to get to safer ground. As of 0000 GMT, the eye of the storm was just north of Puerto Rico and the hurricane was moving west-northwest at 16 miles per hour (26 kilometers per hour). More than half of Puerto Rico's population of three million is without power, with rivers breaking their banks in the center and north of the island where Governor Ricardo Rossello activated the National Guard and opened storm shelters sufficient to house up to 62,000 people. Blanca Santiago, who works in a beachside hotel in Puerto Rico's capital San Juan, described the howl of the wind whipping the coastline: "It was as if there were ghosts inside my home." US President Donald Trump declared a state of emergency in Puerto Rico as well as the US Virgin Islands and Florida where he said the outlook was "not good." Trump spoke by telephone with the governors of all three areas to assure them of the federal government's support. 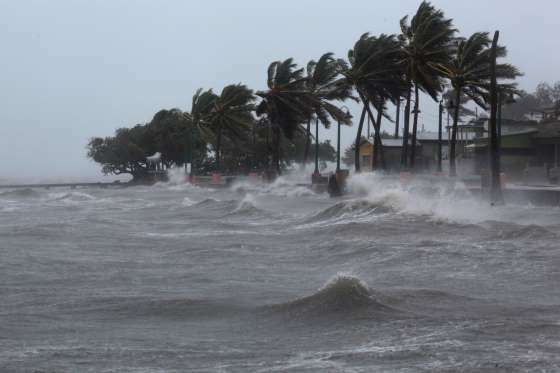 Haiti's northern coast was on hurricane alert, although in the town of Cap-Haitien residents appeared mostly unaware of the impending storm. "It's thanks to word of mouth that we always learn about these things," said Josue Rosse, as he crouched next to a tree trunk that he was digging out to make a boat. "We live on the edge of the sea but no one in authority has come to tell us what's what." Category Five is the highest on the scale for hurricanes in the Atlantic and hurricanes of this intensity are rare. They can cause severe flooding, tear off roofing, shatter windows and uproot palm trees, turning them into deadly projectiles. 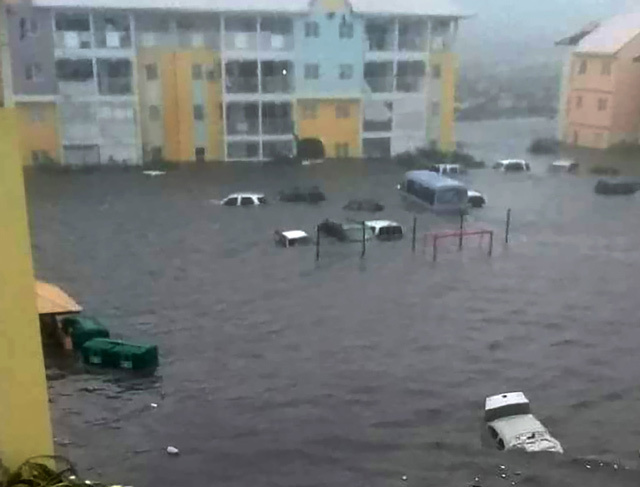 With forecasters warning of catastrophe, including surges of up to 25 feet (7.6 meters) above normal tide levels, people evacuated tourist areas, stocked up on provisions, and packed into shelters across an area stretching as far north as Florida. Florida Governor Rick Scott said Irma, coming barely a week after Harvey claimed some 60 lives, posed "a severe threat to the entire state." "We're emphatically telling people you must evacuate, you cannot afford to stay on an island with a Category Five hurricane coming at you," said Monroe County emergency operations center director Martin Senterfitt. Scott, the governor, activated 1,000 members of the National Guard and another 6,000 of the reserve troops will be reporting for duty no later than Friday morning.